Massanutten Western Slope offers more then 800 acres with over 15 miles of multi-use non-motorized trails that are great for mountain biking and trail running, much of which was built and is maintained by SVBC. The Western Slope Property is private property that is own by Massanutten Resort and sits just outside of Keezletown about 7 miles from Downtown Harrisonburg. Since the Massanutten Western Slope is private property, you MUST have a Massanutten Trail Pass to access it. And since SVBC has built and maintains most of the trails at the Nut, and since the revenue from trail passes goes directly back to SVBC, you WANT a Massanutten Trail Pass. Open every day: February 15th-November 1st. Closed Mon-Sat, Open on Sundays: November 1st-January15th (due to hunting season). The Western Slope is the private property of Massanutten Resort and is open only to Property Owners of Massanutten Resort and those with a valid and current Western Slope Trail Pass. 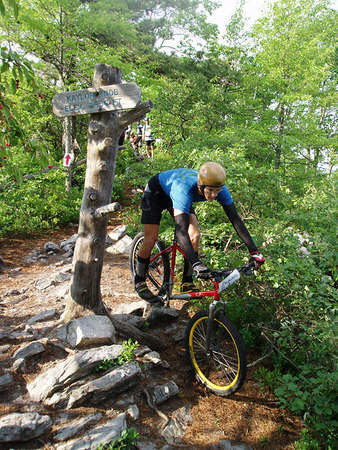 Passes can be obtained through the Shenandoah Valley Bicycle Coalition (SVBC). See below for instructions on how to obtain a pass. To obtain your annual Massanutten Trail Pass, you can either pay a $50 recommended donation or complete 8 hours of trail work at Massanutten. Upon completion of these steps we will MAIL you a pass to the address on your Risk and Release Waiver. To obtain a trail pass, please read the following very carefully. Don’t hesitate to contact us with questions! You must be a current SVBC member. SVBC Individual membership is $25/year and $45/year fora family membership. You can join us online here. commit** to volunteering 8 hours of trail before November 1st. All trail users are required to carry a trail pass with them at all times when using the Western Slope property to ride or hike. Any vehicle parked in the Western Slope parking lot must display a current Western Slope Parking Pass. If you have further questions contact Basil Hangemanole at [email protected]com. 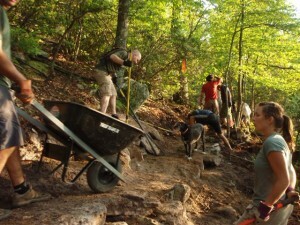 SVBC has several trail work days each month from March to November. These trail work sessions are a great opportunity to earn a season pass, help develop and maintain the trail system on the Western Slope, and meet fellow trail lovers. Several Thursdays a month SVBC has trail work from 5pm-dark as well as several other trail work days. For more info on trail work days contact Thomas Jenkins: [email protected], 540-434-9943. Thanks to Stealth Ink, a Western Slope trail map is finally available. You will receive this swanky new map with your trail pass. Members of SVBC have been volunteering hours to help maintain and build trails on the Western Slope for the past decade. For inspiration, check out the videos section to see what the trail work below has accomplished. Is the Western Slope public property? No, it is privately owned. Who owns the Property? Massanutten Resort. Can I get in trouble using the property with out valid pass? Yes, you can be charged with trespassing. Does anyone patrol or enforce access? Yes, Massanutten Security regularly patrols the property to check cars and trail users for passes. Who built and maintains the trails? A majority of the trails have been built maintained by volunteers of the Shenandoah Valley Bicycle Coalition. Several of the trails are older access and logging roads. Why should I do trail work? 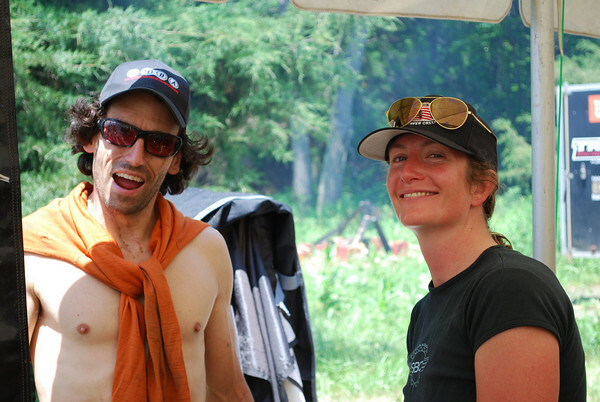 Trail work is fun and great way to meet new people, it is also how the trails that you use are built and maintained. How do I find out about trail work? 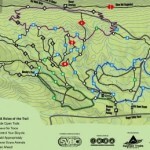 Trail work days are posted on the SVBC website and posted on the trail kiosk at the parking area of the Western Slope. What do I need for trail work? SVBC supplies all the tools for trail work, just show up with good trail work attire, including long pants, gloves, covered good hiking shoes (like work boots). I didn’t get a trail map with my membership pass. Christy- Massanutten and the Bicycle Coalition have used up all of our current printed trail maps. They were outdated and did not show the full extent of the new trails that we have built on the Western Slope. We are working on a new map that should go to the printer very soon. Please stay tuned! Quick question of clarification: during hunting season are the slopes closed EVERY day or are they open for biking/hiking on Sundays as they have been in the past! They will still be open on Sundays as they have been in the past!